Because food is more than eating, and that which begins in pain can be transformed. Ever since I heard about Acarajé in 2009, I haven’t been the same. In ‘Women, Food and God‘, author Geneen Roth says that everything about life is on the plate. And it is true – joy, sorrow, remembrance, hope, worship, fellowship, pain, anger, friendship are reflected in how we eat and what we celebrate. In the 19th century, slaves of Yoruba heritage were torn from homelands and taken across stormy seas to Bahia on Brazil’s north-eastern coast. 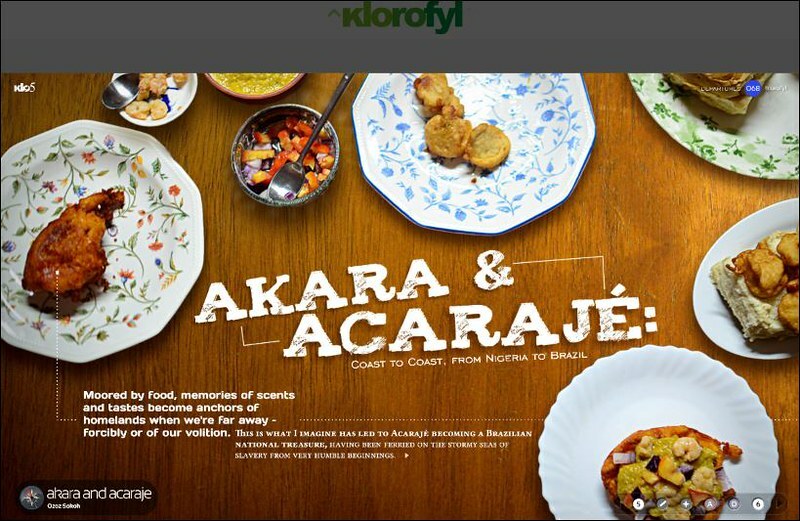 Acarajé was first sold after the abolition of slavery in the late 19th century and became an important source of income for the freed slaves. The ingredients – black-eyed beans, palm oil, and melegueta pepper came from produce native to Africa. Through the Colombian exchange and African slave trade, they arrived The Americas. Acarajé must have been popular during the captivity, such that it could take root in freedom. Baianas, Afro-Brazilian women sold Acarajé, dressed in specific styles of clothing – white skirts, cotton gowns, ‘panos da costa’ (a piece of cloth, usually rectangular, white or in two colours, used on the shoulders and having as main function to distinguish the position of women in African-Brazilian communities), head wraps, beaded necklaces and trinkets. They set up Tabuleiros to sell their wares. Invited to one of Queen Victoria’s themed balls in February 1865, dressed like a causing surprise and several comments in the Brazilian Court. In 1993, Brazil honoured the Baianas by putting them on bank notes. 2011 – 2012/ Veja, a Brazilian newsmagazine publishes a highly regarded/ esteemed food & culture guide for major Brazilian cities. 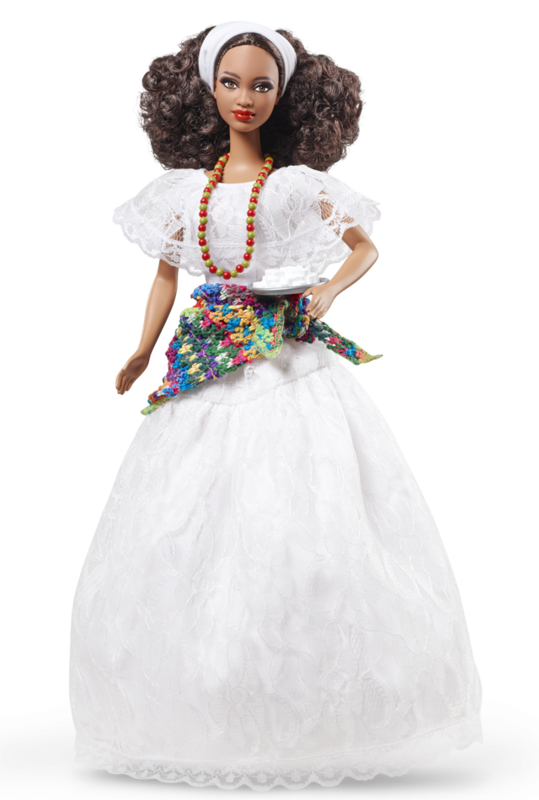 Immortalised in Barbie’s “Dolls of the World” collection, Mattel, released a version of the Bahia doll in 2012. To the surprise of many, Barbie Baiana was much cheaper in the US compared with brazil :(. In 2012 – 2013, FIFA excluded the Baianas from being part of the food vendors for the World Cup warm-up tournament – the 2013 Confederations Cup. This ban included a no-sell two kilmetre radius around the event ground for ‘itinerant trade’. The implication? Denial of livelihood for many who had spent decades making and selling Acarajé but the Baianas forged an army so strong – “Libere as baianas” and won! 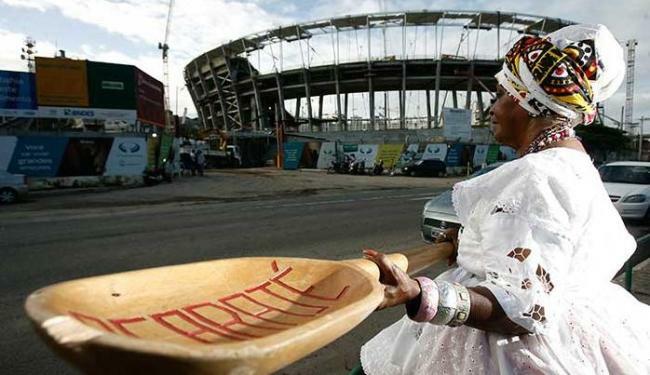 Over 16,000 people signed a petition culminating in the official opening of the stadium in April 2013, when Baianas won hearts aplenty by giving out free Acarajé outside the stadium and delivered the petition to a close aide of the country’s president, Dilma Rousseff, who was at the inauguration. Baianas demonstrate in Salvador in 2013 for the right to sell their wares on the beach. 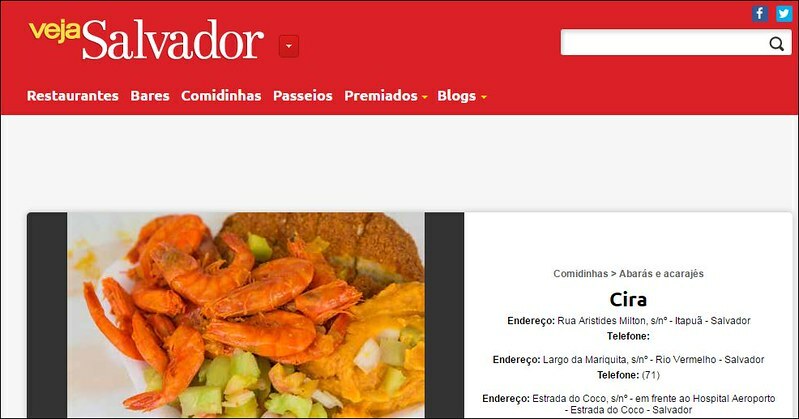 In 2004, IPHAN chose acarajé for this list, but not only the dish itself, but also the way that it is prepared, the traditional clothing of the baianas (the women who sell it on the streets of Salvador, Bahia, mainly in the Historic Centre, named in Portuguese Pelourinho), linked to the rituals of the Afro-Brazilian religion Candomblé (about which I wrote here), and the customary layout of accompaniments on the baianas‘ streetside tables, called tabuleiros. The traditional costume of the baianas, consists of turban, starched skirt of colourful pattern, shawl over the shoulder – or tied to the breast – bracelets and necklaces, is a symbol of their social and religious status. 2010/ the Official Diary of the Brazilian Republic established an annual day of commemoration November 25 as the National Day of Baianas Selling Acarajé. 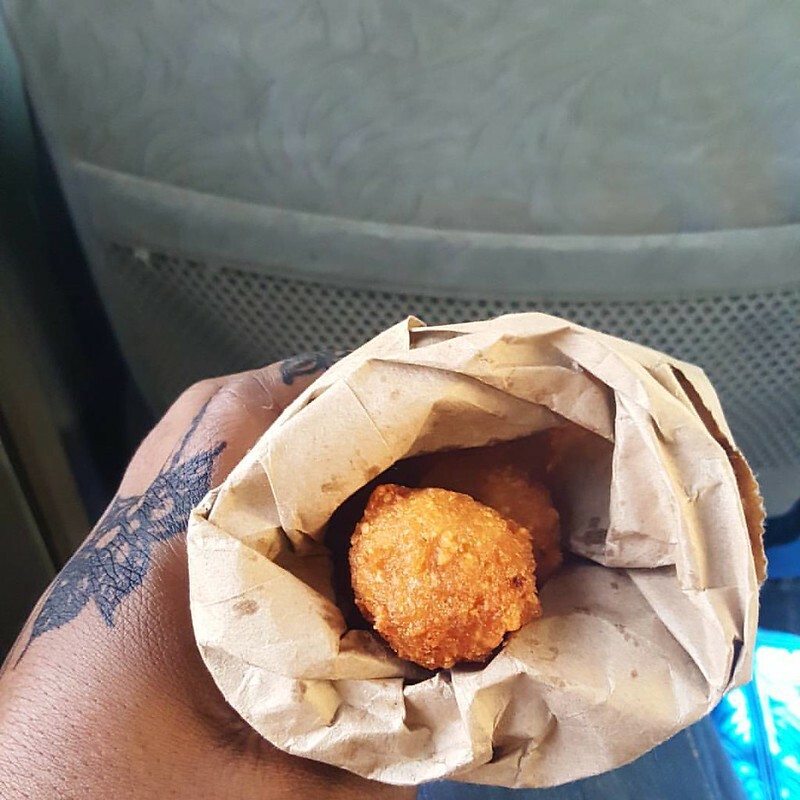 A round, crusty version of Akara :), the same bean fritter. Served on the streets of Dar with pili pili (hot sauce). 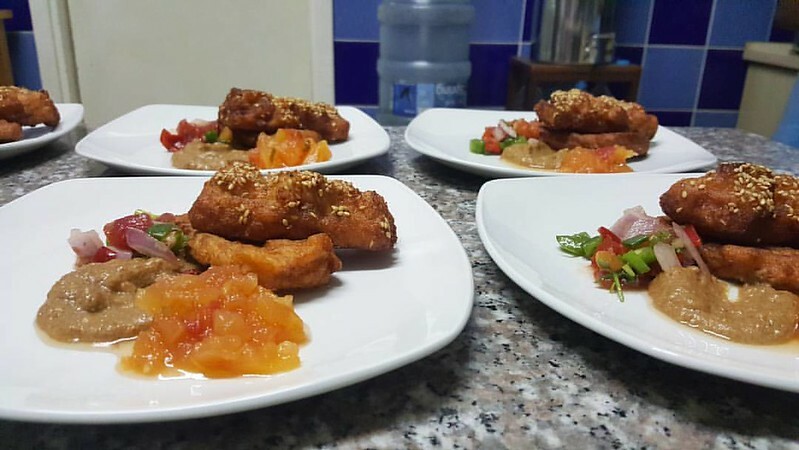 Making it into ‘Akara Prawn Toast’ and sharing at a private dinner with Nigerians and Non-Nigerians. 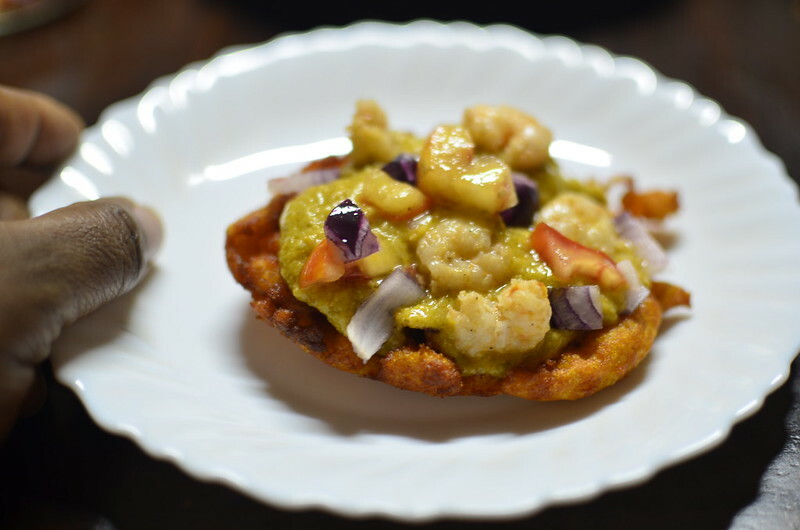 The dish consisted of the prawn toasts, dipped in Akara batter, and served with pawpaw chutney, vatapa – a cashew and peanut sauce and a fresh tomato salsa. And writes about it in The Guardian for Independence Day. With this, I come to an end, ladies and gentlemen with every intention of updating as I find out more information. What do you know about the Baianas? Please share!